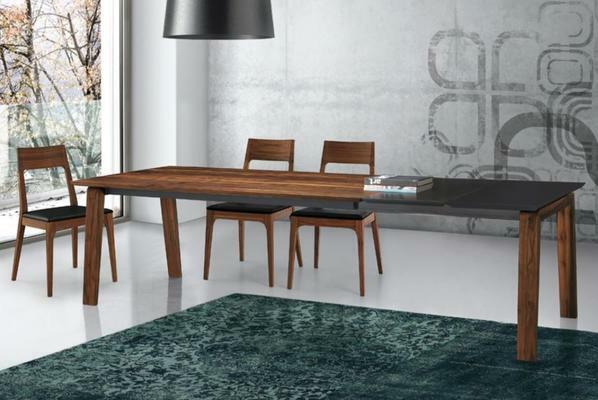 Introduce a bold and exciting vibe into your dining area with the Estro extending dining table from Oliver B Casa. 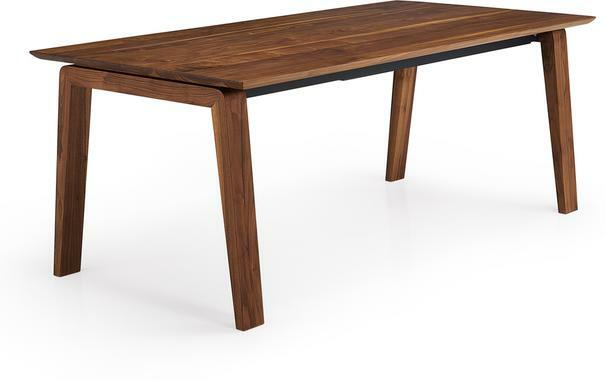 Combining a stunning sleek contemporary design with the ageless beauty and warmth of Solid Walnut this sophisticated dining option is the perfect centrepiece for any modern interior. Supported by four chic legs which are angled outwards for increased stability, strength and style, the top of this dining option will comfortably accommodate upto 6 diners when not extended. The table is, however, supplied with two extension plates and these allow the length of the top to be increased to either 230cm with one plate or 280cm when both plates are used. For added versatility the extension plates are available in a choice of either a white or anthracite matt lacquer finish. Simply use the checkout menu options to select your favourite colour. 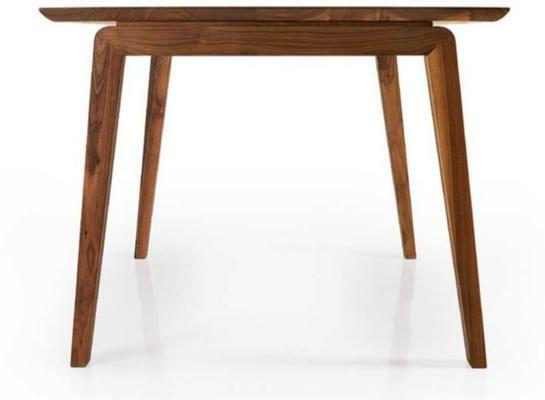 Please note that a washed Walnut version of this table is also available, please call us to discuss this option further. 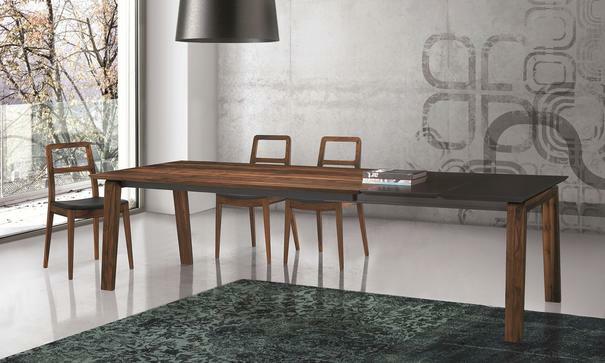 The Estro extending dining table is produced by renowned Italian manufacturers Oliver B. Casa. Their innovative and modern approach partners traditional cabinet making skills with cutting edge Italian design, a combination which allows them to create unique contemporary designer furniture with an eye on the future and a nod to the past.